Here at Houdini’s we enjoy locking folks up in our rooms, and they enjoy solving the puzzles, riddles, and other challenges that they encounter in them. While all of our guests are guaranteed to have a Puzzling Good Time, not everyone will manage to escape before their time runs out. If you’d like to up your chances of escaping during your visit to Houdini’s, we’ve got seven helpful tips for you! 1. 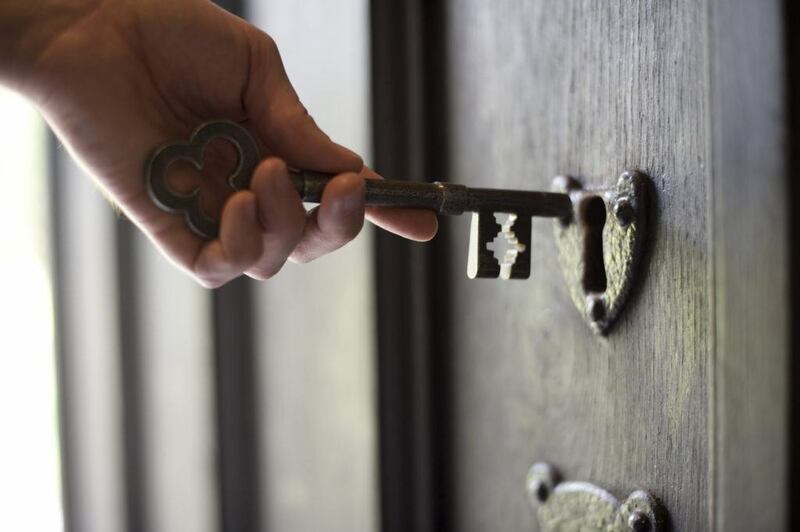 Practice Makes Perfect: Your first escape room, no matter the difficulty, can be very challenging. You will probably be unsure of what to expect and how everything works. If you don’t manage to escape from your first room, don’t get discouraged! Having done at least one room increases your odds of escaping substantially. 2. Do Your Research: While you won’t need prior knowledge to solve any of the puzzles in our experiences, familiarizing yourself with your room’s theme can help boost your confidence and excitement, both of which are a great help in escaping from your room! Thinking about trying the Tower? Plan on grabbing dinner at Skyline Chili or making a trip to the real Carew Tower. Considering taking on the Lab? Watch Shaun of the Dead or another classic zombie movie. 3. Assemble Your Team: With the variety of challenges in our rooms, having a diverse group with a wide range of skills will be a great help. Grab your friend who’s great at riddles, and your nextdoor neighbor who is master wordsmith. Can’t round up the usual suspects? Have no fear, you can always join or be joined by other puzzle enthusiasts who can bolster your forces! 4. Warm Up: Get your puzzle solving juices flowing by arriving 10 minutes ahead of your scheduled start time to try out the table puzzles in our lobby. They are the perfect way to remind yourself to think outside of the box when approaching the puzzles in your room. Did you solve them all during your last visit? Don’t worry, we frequently add new lobby puzzles to keep all of our guests on their toes. 5. Don’t Be Hangry: Eating a snack or a meal before your room will give you the energy you need to make it all the way to the final puzzle. Grabbing a bite with your teammates can be a great way to celebrate a victory, but attempting an escape on a completely empty stomach might leave you grumpy and distracted, and your teammates less than thrilled to be locked in a room with you. 6. Sign Up For Our Newsletter: Houdini’s Mastermind Monthly regularly includes a puzzle contest carefully crafted by our staff. Not only will these challenging puzzles tune up your brain for your next escape, but correctly solving them can earn you the chance to win free tickets for your next visit. 7. Have Fun: Your ultimate goal should always be to have fun. Getting stressed out and worrying about how much time you have left and how many puzzles there are to solve, won’t help you to escape. Relax, go with the flow, and enjoy the ride!